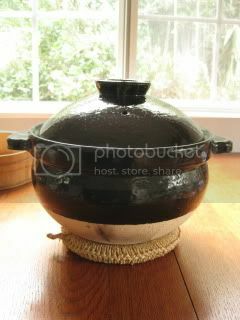 I made plain brown rice with my jumbo Kamado-san (double-lid donabe rice cooker). 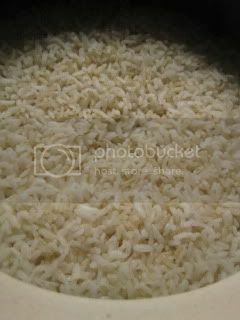 The freshly cooked rice always smells so nice. 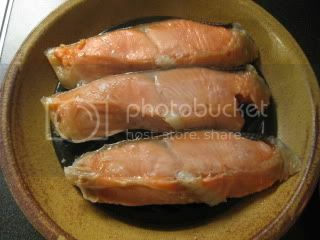 Meanwhile, I made easy "roasted" shio-jake (salt-cured salmon) with Steam-roaster, "Tochinsai". This microwavable donabe makes easy roasted salmon, and it always comes out so juicy. Salmon was broken into small pieces with chopsticks. 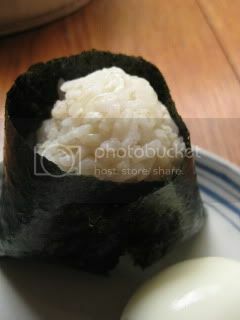 They were filled in each onigiri (rice ball) as I made them. 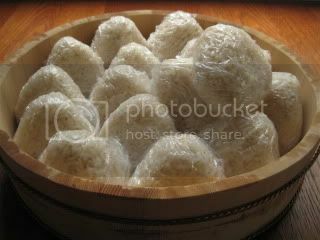 I made 16 onigiri. It was hard to stop eating...I ate 4 of them so quickly.